Do you find yourself oohing and aah-ing over high end Scandi nursery gear on other people’s Pinterest boards, only to realise you’d need to mortgage your house to afford to buy it? Those days are over. 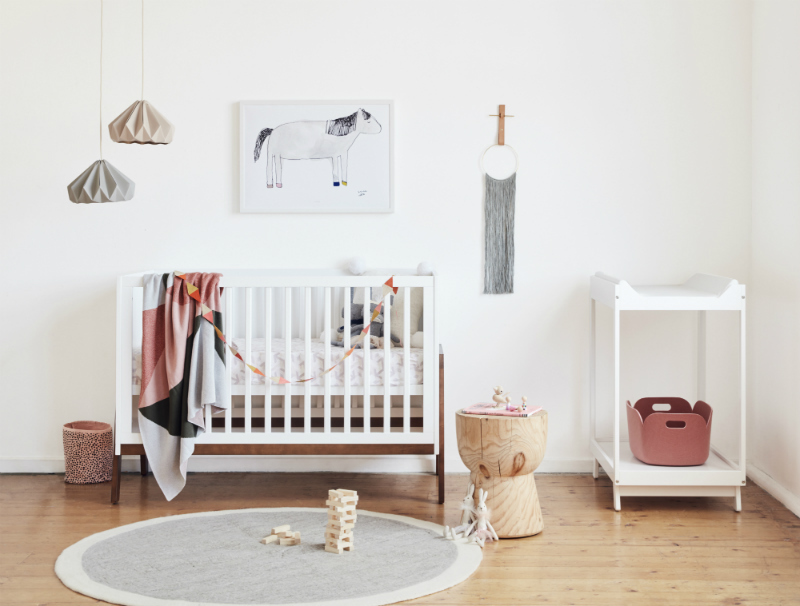 Nursery trends have changed so much over the last decade that the pieces which were well-loved and found everywhere even ten years ago look terribly dated today. We’re no longer seeing either the fussy bassinets and cutesy animal prints of the late nineties, or even the stately sleigh cots and heavy dressers of the early 2000s. Today’s mothers want less fussy, streamlined pieces which wouldn’t look out of place in a common area. The trends in nursery furnishings (just like in homewares more generally) are towards crisp linens, light colours and simple wooden finishes on furniture which allow the craftsmanship to be the star. It’s a style epitomised by the Scandinavian aesthetic, and a trend welcomed by those of us who live in increasingly smaller spaces. But it can be expensive! 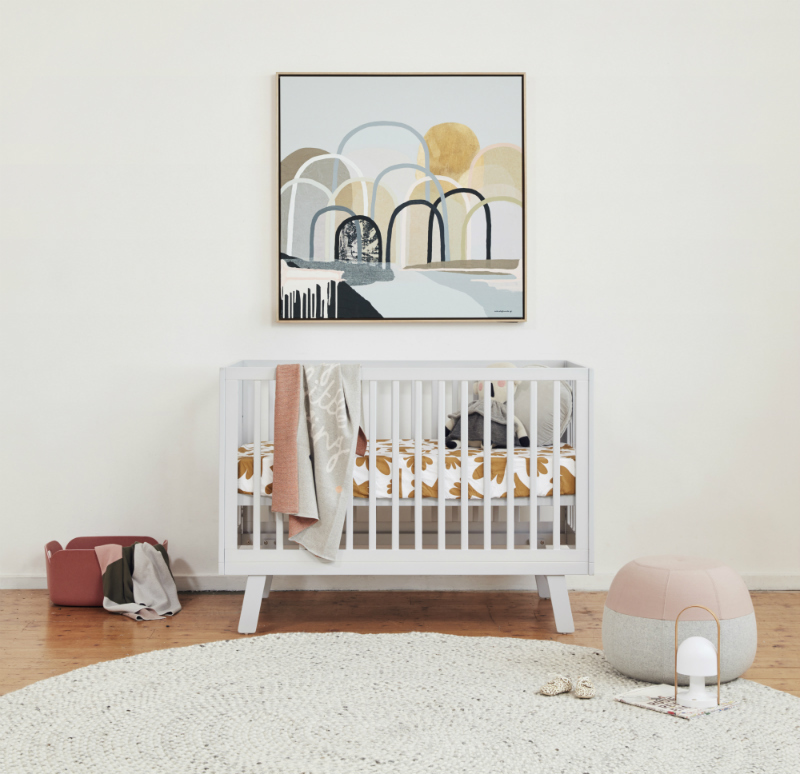 Fortunately, we’ve discovered two brand new nursery ranges from Bebe Care, Casa and Oxford Letto, which tick all the Scandi boxes at the right price. The Casa range (above and below) is a contemporary style with three different finishes, including the Agio Casa, Euro Casa and Porta Casa. The Oxford Letto range (at top) leans towards a more traditional look, with interchangeable end panels and is available in natural white, for a room you can tailor in any direction. Both collections include not just the all-important cot, but also other necessary pieces like bookcases, toy boxes and dressers. Scandinavian styling allows a few well-chosen pieces to take pride of place. It sees the room as a canvas in which the eye is drawn to a couple of statement pieces, rather than a jumble of clutter. This is a trend that parents can get excited about – after all, loading up your baby’s room with more and more stuff only creates more work in the long run. Save your efforts for the baby in the room, rather than maintaining and cleaning the belongings! Bebe Care’s smart new range not only ticks those styling boxes but is gender neutral as well. That makes it great value for money. It can be used for subsequent children and is easily refreshed by the purchase of just a handful of accessories (think throws, cushions, a new print for the wall) rather than doubling up on furniture. It’s good for your ecological footprint too, as well as your hip pocket. Check out the whole Bebe Care range and find your nearest stockist here.